On Nov. 25, 2016 former Cuban leader Fidel Castro died at age 90. Castro had served as Cuba's leader for nearly 50 years, having taken control of the country in 1959 when he led a communist revolution and overthrew the dictator at the time, Fulgencio Batista. 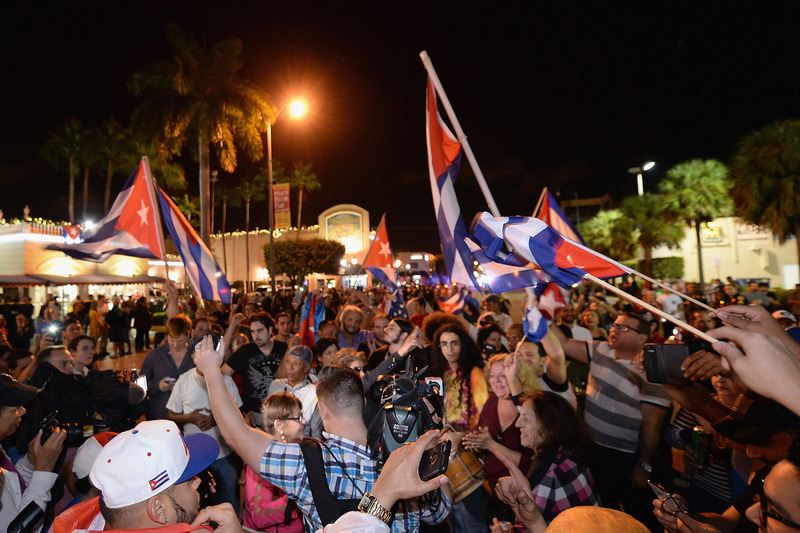 The news has sparked celebrations of Castro's death across the United States, notably in Miami, where many Cuban migrants fled to escape Castro's regime. Immigrationtounitedstates.org reported that in 2008, Miami's population was roughly one-third Cuban. In a statement released on Nov. 26, 2016, Florida governor Rick Scott said, "After decades of oppression, the Cuban people deserve freedom, peace and democracy." He added, "Today's news should usher in an era of freedom, peace and human dignity for everyone in Cuba and the state of Florida stands ready to assist in that mission." While the news has set off lively celebrations in Miami and elsewhere, it's important to note that many are not celebrating the death of Castro as a person, but rather, they are celebrating the death of tyranny and the oppression suffered under his rule. Although change may not be immediate — Castro's brother, Raúl, is still serving as Cuba's leader — people are hopeful that this could be the beginning of the end of Cuba's communist regime. Castro was a polarizing figure, and the celebrations surrounding his death and the responses of various world leaders reflect that. Still, his death signals hope for a free Cuba.